There’s nothing easy about sharing your heritage with different countries, especially when the two nations you call home are set to meet in one of the biggest matches of your career. However New Caledonia striker Kim Maguire is taking it in her stride. 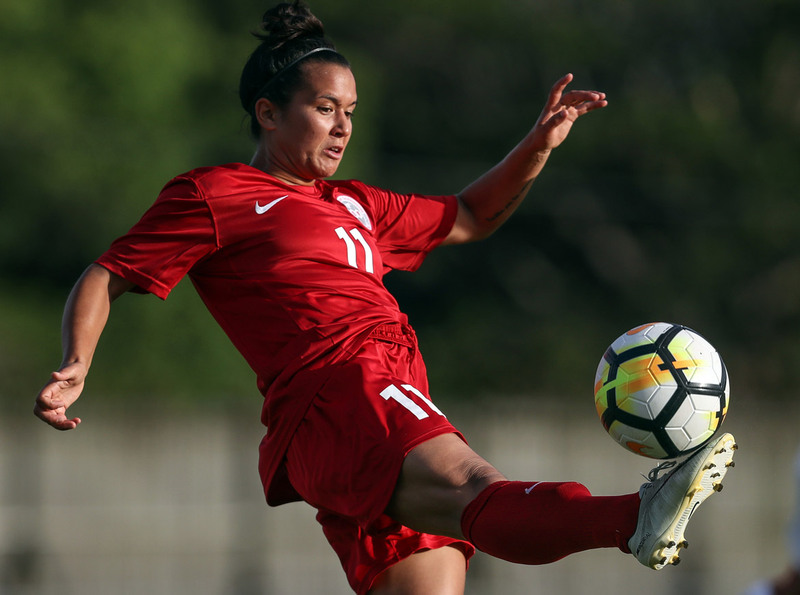 Born in New Caledonia the 26-year-old moved to her father’s native New Zealand as a toddler, before moving back to her roots after high school and then on to France where she played in the lower leagues for several years. “I started playing football in New Zealand when I was six, so 20 years ago,” Maguire said. Maguire’s career in France ended early when she returned home to New Zealand after her father fell ill.
“Family over everything,” she stated. Getting to know her mother’s family in New Caledonia was behind the original move back as an 18-year-old and it was also an opportunity to ‘come home’. “It was good to come home, because I do consider this home,” Maguire said. As for whether straddling two homes will give New Caledonia an advantage in the semi-final between New Caledonia and New Zealand this afternoon, Maguire’s not so sure. “Most of the New Zealand girls play overseas,” she said. “I don’t know any of them personally. I can pick out what some of them may or may not do, but they’re professionals so they know what to do and when to do it. Maguire said meeting the defending champions in the semi-finals isn’t ideal but after a 35-year wait it will be nice to test themselves against the top-ranked side. “It wasn’t our ideal run to the semi-finals and we played our joker card against Papua New Guinea because we knew the loss against them meant we wouldn’t be able to finish first in the group,” she explained. Despite the gruelling schedule, Maguire isn’t ruling New Caledonia out of contention just yet. The striker is confident there’s an element within the squad that will count for something come kick off. “I think the heart is there,” she said.